Deftly swinging and beating their sturdy bamboo sticks, 75 women in Gundalba village in the famed temple district of Puri in the Mahanadi delta have been taking turns to literally blow the whistle on potential timber smugglers and tree cutters in this sandy strip of the coastal woodland. Biswal is the secretary of the Pir Jahania Van Surakhya Samiti, nurtured by women who came together voluntarily in response to the devastation after the 1999 Odisha supercyclone battered the northern Indian Ocean. In 2012, the group won the maiden UNDP India Biodiversity Award in the community stewardship category for their efforts to rejuvenate the natural heritage of their village. Skirting past the feathery branches of the casuarina and low spreading cashew trees, Biswal and her group point out the sea, just half a kilometre from the village, located along the Astaranga beach in the state’s Puri district. 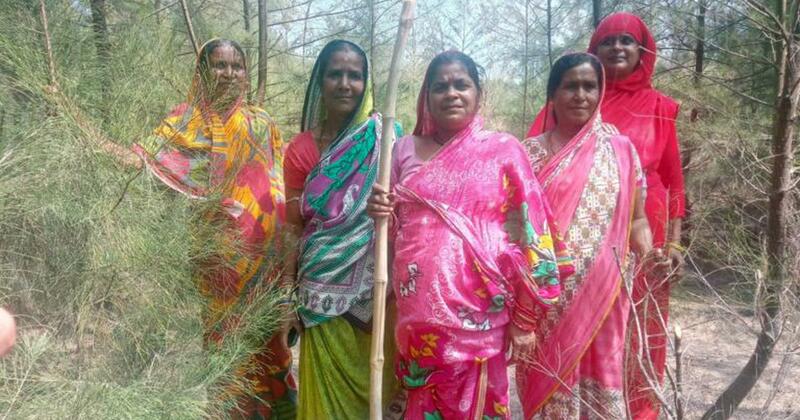 Narrating the story of the inception of their squad, Biswal said 70 women came together in 2001 to form the women forest protection committee with representations from every household to revive and manage the biodiversity of the 75-hectare forest area. The village, close to the Devi river mouth, now has 103 households. Men had a supporting role in the Samiti’s initial days but now it has evolved to include male members, primarily the spouses of the women torchbearers, explained Sovakar Behera, honorary wildlife warden of Puri, who has been assisting the group in its biodiversity management initiatives. But don’t they feel scared in the jungle? It also gives them a chance to catch up on what’s going on in each other’s lives. The members of the committee formulated and passed resolutions for a set of regulations for the management of the forest, including practices that help them avoid conflicts with neighbouring villages who depend on the same patch of forest for their stock of firewood. For instance, the women’s committee has fixed one day each month during which all the households in the village are allowed to collect firewood from the forest. Neighbouring villages gather firewood on a fixed, different day, usually after three or four days after the villagers of Gundalba have collected. 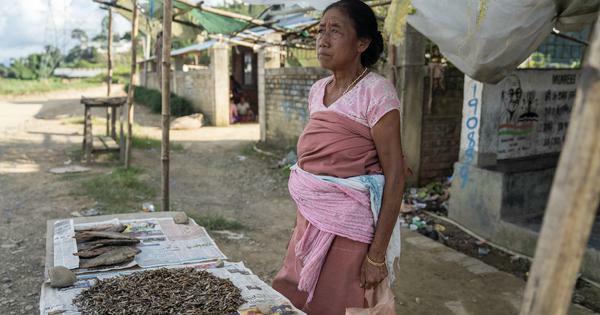 “We cooperate with the forest department as well but we do realise that department officials come and go so we are in command of our own vigilantism,” beamed Rahima Bibi also emphasising on the unity between the Hindu and Muslim communities. 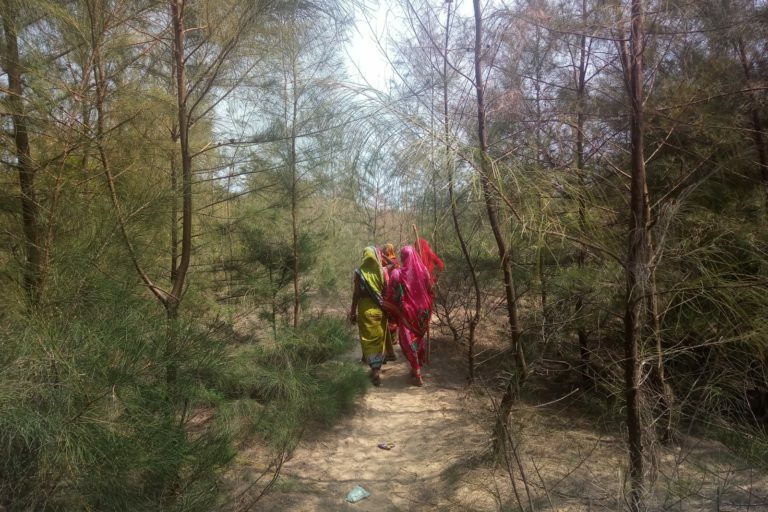 At the outset, the women invested time and energy in generating awareness on the importance of the forest cover, said Behera, elaborating on the role of the mangrove forest as a bio-shield. They essentially pose as wind-breakers. “The casuarina trees and other species stop the salt-bearing wind from entering the agricultural land and also thwarts the advance of moisture-laden wind from wreaking havoc on farms. The mangroves also prevent soil erosion along the coastal belt and overall the forests preserve the wildlife,” Behera said. In the supercyclone, around 30,000 casuarina trees were uprooted. Mangroves were inundated, the women said. “About 70 percent of the tree cover was lost in the supercyclone. The mangrove leaves had started decomposing but their roots were intact and local community members started salvaging the decomposing mangrove plants and still-standing casuarinas as also native species,” Behera elaborated. A concerted effort of the local communities, spearheaded by the Samiti, led to the regeneration of mangrove vegetation (Avicennia officinalis, Avicennia alba, Aegiceras corniculatum, Ceriops decandra, Acanthus illicifolius, Bruguiera gymnorrhiza, and Excoecaria agallocha) in the river system. And the forest cover (especially of mangroves), went up by 63% from 2.58 sq km in 1985 to 4.21 sq km in 2004, as per the India Biodiversity Award citation. “Gradually the forest came back to life. Birds started nesting and we heard bird calls once again. Now the deer are so many in number that they sometimes they raid our crops,” said Biswal. Biswal and Rahima Bibi underscore that the recovering forest has made their village more liveable. “One section of the village that is close to the forest has freshwater. This is because the mangroves and other tree species prevent intrusion of saltwater. Our agricultural fields are safe from the influence of storm surges and ferocious winds,” said Rahima Bibi. The committee is confident that it is well-prepared to tackle disasters. “Our experience from the 1999 cyclone taught us that the villages that were shielded by mangroves had better protection against the disaster. We are now preparing to register our group with the forest department for community forest management,” said Biswal. Rahima Bibi and others are also aware of the legacy of cyclones in Odisha. According to a study that analysed 122 years (1877–1998) of tropical cyclone frequency in the north Indian Ocean, approximately four times as many tropical cyclones occur in the Bay of Bengal compared to the Arabian Sea. Cyclones occur most often in May, October and November, with an average of five to six tropical cyclones every year. In the 122 years studied, the frequency of tropical cyclones in the Bay of Bengal during November has doubled. Odisha has been struck by recorded 128 tropical cyclones in the past 200 years (1804 to 1999). Included in these strikes was the supercyclone of October 28 to 30, 1999, which killed approximately 10,000 people and had a 7.5-metre storm surge. Cyclonic flooding in the Bay of Bengal is associated with storm surges, high tides and high water levels due to the heavy rainfall. 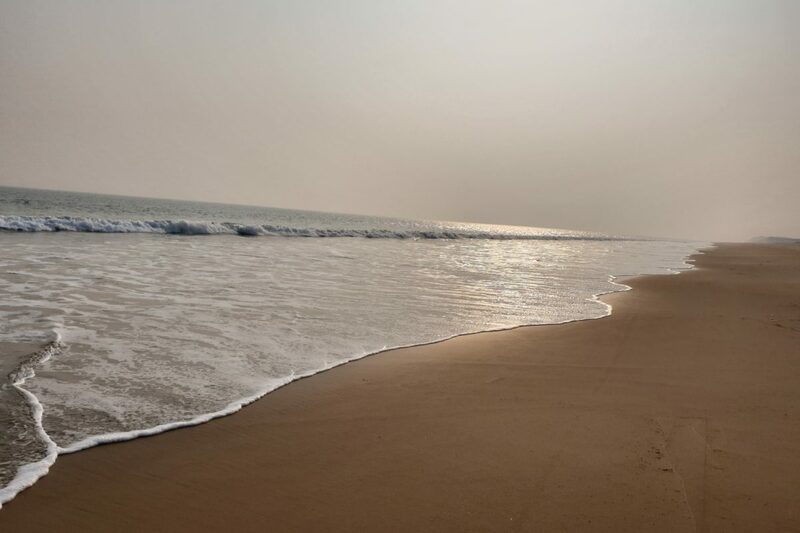 A 2019 study by the School of Oceanographic Studies at Jadavpur University highlights in coastal Odisha districts, the risk of severe cyclones ranks above heavy floods. Agriculture, the main livelihood of these districts (71%) is impacted adversely making the Mahanadi delta community vulnerable to such extreme events.